The G7 failure to come to terms on trade highlights the problem of governments trying to macromanage trade. And no, the failure to even agree to disagree cannot be blamed on President Donald Trump and his newfound economic nationalism. The list of countries with the largest trade surplus with the United States is led by China, which exports $375 billion more than it imports. It is followed, very far away, by Mexico ($71 billion), Japan (69 billion), Germany (65 billion), Vietnam (38 billion), Ireland (38 billion), and Italy ($31 billion). Not surprisingly, the markets with the most protectionist measures against the United States are China, the European Union, Japan, Mexico, and India. 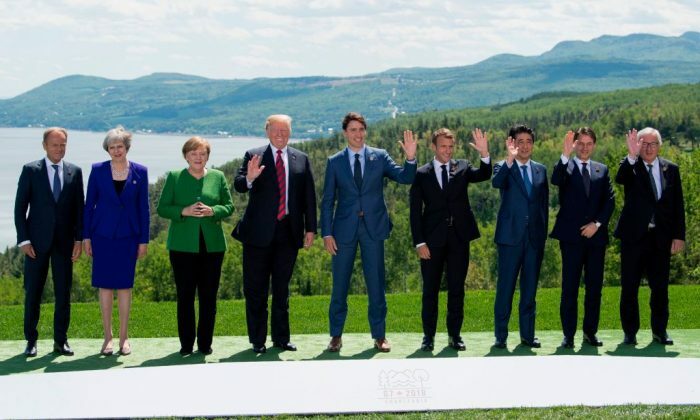 These facts explain much more about the failure of the G7 summit than any Manichean analysis on Trump, Trudeau, Macron, or any of the leaders gathered there. During the last 20 years, the world has carried out a widespread practice of governments’ disastrous idea of “sustaining” GDP with demand-side policies. Build excess capacity, subsidize it, and hope to export that excess to the United States. Especially China, Germany, and Japan have economies with high state interventionism and therefore very high excess capacity, in part due to a high personal savings rate. Steel and aluminum, like the automobile industry, are examples of building unnecessary capacity and subsidizing it, country by country, hoping it will be somebody else who closes its inefficient factories so more can be exported to that country. In Germany, the influence of the automobile industry over the government is legendary. What isn’t are the relatively high tariffs American manufacturers face when exporting to Europe and the low tariffs America itself imposes on automobile imports. What is also ironic is that modern-day protectionism didn’t start with Trump. Barriers against global trade increased between 2009 and 2016. The World Trade Organization has warned, year after year since 2010, about the increase in protectionism. The Obama administration, faced with the exponential increase in its trade deficit, was the one that introduced the highest number of protectionist measures between 2009 and 2016. The only difference between Trump and President Barack Obama was that Obama didn’t publicize this much and the mainstream media didn’t complain. But the requirement of the Trump administration in the G7 to eliminate all tariffs and barriers, rejected by the rest, has shown that the hat trick of accusing the United States of protectionism was simply a PR stunt. Every time the Trump administration has threatened its trading partners with tariffs, we learned of hidden barriers from the so-called “free-trade leaders” in China and the European Union. In six months, we have seen an important list of tariffs and barriers against the United States that many of us simply thought did not exist. And this is on top of the already higher explicit tariffs that especially China levers on imported goods. Even the European Union recognized that the “Made In China 2025” plan, which the United States denounced, was a conscious objective of limiting foreign trade. So the story the mainstream media tells is wrong. Trump does not favor protectionism, he just wants real free trade, which means no tariffs—but for everybody. He tries to dismantle the tricks of countries that impose hidden barriers, smile, then export more to the United States. Needless to say, he can only get some movement into the matter by threatening to impose tariffs as a retaliatory measure. Because of the threat, the German car manufacturers themselves have asked the European Union to reduce tariffs on U.S. cars, the Chinese have agreed to reduce barriers to the imports of U.S. agricultural and industrial products, and so on. But because other G7 leaders want to have their cake and eat it, too, the G7 summit had to explode. If all countries subsidize their excess capacity and try to export to the United States while using peregrine excuses to limit imports from the world leader, a charitable agreement is not possible. And the “free-market-disguised protectionism” strategy of some of the G7 leaders collapsed when Trump said “they have taken advantage of the United States for decades” and called for the elimination of all tariffs and tariffs completely. Interestingly, those who presented themselves as defenders of free trade refused. This game is now over. But we need to be wary of the consequences. The United States may win and get the other countries to limit their protectionism. On the one hand, it exports very little, only 12 percent of GDP. On the other hand, everyone wants to sell to the United States because of market size and growth opportunities. Additionally, without the huge trade surplus, the European Union and China cannot sustain their growth. And the debt? China owns $1.3 trillion of United States debt—not even 6.2 percent of the total. It is neither the largest holder of U.S. debt nor a threat. As shown throughout 2018, the demand for U.S. bonds is much higher than the supply on all issuances and the U.S. based bond funds would absorb any sale by the Chinese in a few days. Also, China cannot sell them. For China, these bonds are reserves of foreign currency. If sold, the yuan would suffer enormous volatility, especially when its currency is used in less than 4 percent of global transactions and its value is more than questioned because of tight capital controls. In addition, China needs several trillions of dollars in liquidity to run its trading machine. It has been very easy for the European Union and China to support their GDP growth thanks to an external sector and a trade surplus that hid trade huge barriers under the rug of regulation and subsidies. Bureaucratic barriers, hidden taxes, lack of intellectual property protection, disproportionate subsidies to obsolete sectors, and invented environmental excuses—it’s over. If they want to sell to the United States, they have to adopt measures that increase free trade, not disguise protectionism under a mask of openness. However, the United States should be careful either way. Tariffs are the worst way to combat protectionism. They give other governments the excuse to impose higher barriers to trade and blame the external enemy, without getting rid of the existing barriers. However, if Trump’s tactics don’t work and other countries liberalize their trade, we are looking at a world with much slower than anticipated GDP growth. Europe is already slowing down, and it looks like it will get worse, not better. The data on industrial production, GDP, consumption, and credit point to much poorer growth than estimated. The European Union is exiting its monetary stimulus with a very important drop of the economic surprise indicators. But protectionism protects governments. While all of us lose, politicians often prefer things to get worse, rather than lose control, and that is a relevant risk with China and Europe. The United States is carrying out an aggressive negotiation tactic, and it can backfire. Trump knows that tariffs hurt inside as well. In 2001, President George W. Bush introduced tariffs on aluminum that destroyed thousands of jobs, and Obama’s constant protectionist measures led the country to the worst external sector growth data in decades. Putting the fist on the table and demanding that everyone remove their barriers can motivate everyone to blame their barriers to trade on the outside enemy. On the “protectionist” United States, and vice versa. If the purported “free trade nations” don’t start some real free trade soon and the bickering escalates into a full-fledged trade war, those who will suffer the most will be the consumers all over the world. 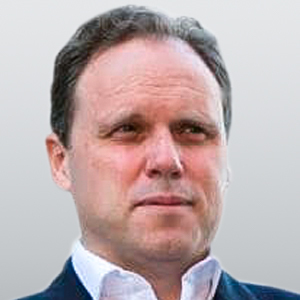 Daniel Lacalle is chief economist at hedge fund Tressis and author of “Escape From the Central Bank Trap,” published by BEP.